Overpricing and delayed delivery of anti-cancer drugs are caused by procurement wars among officials at the Uganda Cancer Institute (UCI) and the National Medical Stores (NMS), PML Daily has learnt. Sources with the Ministry of Health that supervises NMS and UCI told this website that the bickering is mainly about who should take the well-paying jobs and procurement deals. Two sources also revealed that NMS does not involve UCI in procuring the anticancer drugs. A special audit report done on two departments of the ministry confirms the existence of infighting. According to the 2016 Auditor General’s report, NMS in 2015 entered into a three-year contract with several companies to supply cancer drugs. However, the report indicates that the prices for the drugs were inflated by over Shs662m. The report adds that procurement of the drugs was done outside the existing frame work contracts. “The procurement process was uneconomical and further undermined the business sense of the contracted suppliers,” the report states. Efforts by this website to contact Mr Moses Kamabare, the NMS general manager, were futile as he could not answer repeated calls. However, in a written response to the Auditor General’s queries, Mr Kamabare explained that NMS uses different contracting methods for the items they receive. “Framework contracting is just one of them. In this particular case, NMS entered into frame work contracts for supply of anti-cancer drugs with a number of suppliers. And UCI received communication from the suppliers the longer period it will take them to deliver the drugs,” he says. About over pricing the drugs, he explained that the prices at which the items were supplied were obtained using micro-procurements. Mr Kamabare insisted that the items were obtained from authorized importers while the market prices for the drugs were obtained by UCI. The UCI Executive Director, Dr Jackson Orem, when contacted, declined to comment on the matter. Sources have told PML Daily that it is difficult for smooth service delivery to prevail at the ministry with the current infighting among senior officials. According to two sources, the Auditor General’s office was able to unearth that the anticancer drugs prices were inflated after one group that lost the procurement deal tipped the government auditor. “The group which lost revealed very many things to the Auditor’s General office,” a source added. Sources also told this website that NMS bosses work to satisfy the interests of senior ministry officials, including Dr Diana Atwine, the Permanent Secretary. However, Dr Atwine refuted the claims that she is involved in supplying the overpriced anticancer drugs. “And I am not aware of what you are talking about,” she said. The struggle for procurement deals and positions is also at NDA. Last week, its senior legal officer, Mr Mark Kamanzi, was interdicted to pave way for a court hearing following accusations of causing financial loss to the authority. In September last year, the High Court declared ‘non-existent’ the position of executive director at the authority. At the same time, some employees dragged executive director, Dr Donna Kusemererwa, to court, saying her position is not stipulated anywhere on the NDA structure. Dr Kusemererwa has since appealed the ruling. About 10 officials at the Ministry of Health, including Prof Anthony Mbonye, the former acting director general of health services, have resigned over the reported intrigue. Others include Dr. Jacinto Amandua (commissioner Clinical services) , Andrew Abunyang (Commissioner human resources) and Dr Paul Kaggwa (commissioner community health). Before quitting, Prof Mbonye had just won a case against the IGG, who had recommended that he should not sit for the interviews for the director general of health services job. This was in response to a move by Dr Atwine to have him fired over integrity issues. Dr Atwine had ordered that he vacates office, basing on the recommendations of the IGG over his integrity. Two family sources told PML Daily that Dr Mbonye got an international job offer in Geneva and soon he will report to work. “I can’t tell where he is going because his enemies at the ministry can write there to block him,” a family source said. 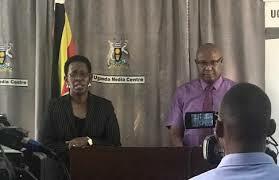 Dr Atwine revealed that her ministry is in the process of filling up all vacant positions, in what she described as implementing a new structure. Mr Ibrahim Kasozi, the Makindye East MP, told PML Daily that he wrote to the Leader of the Opposition in Parliament to table a motion in Parliament over the wrangles at the ministry. “And also to probe whether it’s true Uganda is importing fake overpriced anticancer drugs. 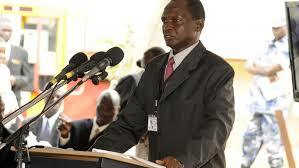 Next week, Parliament will discuss these issues,” Mr Kasozi said. A highly placed source had earlier told PML Daily that with so many donor-funded health projects at the ministry, wars are inevitable. Dr Aceng, however, had earlier denied involvement in the battles with her colleagues at the ministry.